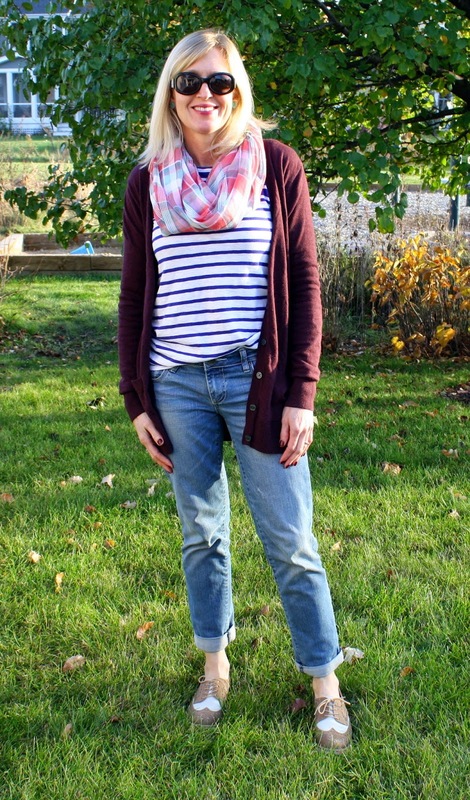 The Fall Style Challenge that is hosted by Alison at Get Your Pretty On is still going strong. 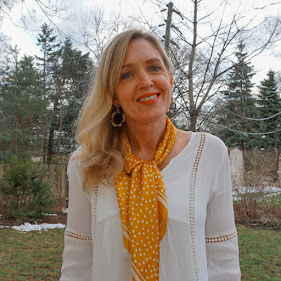 It was another week of easy, stylish outfits put together for me, which took the stress out of getting dressed. Day 10: long cardi, solid tee, plaid scarf, boyfriend jeans, oxfords. I love to pattern mix so I traded the solid tee for a striped one. 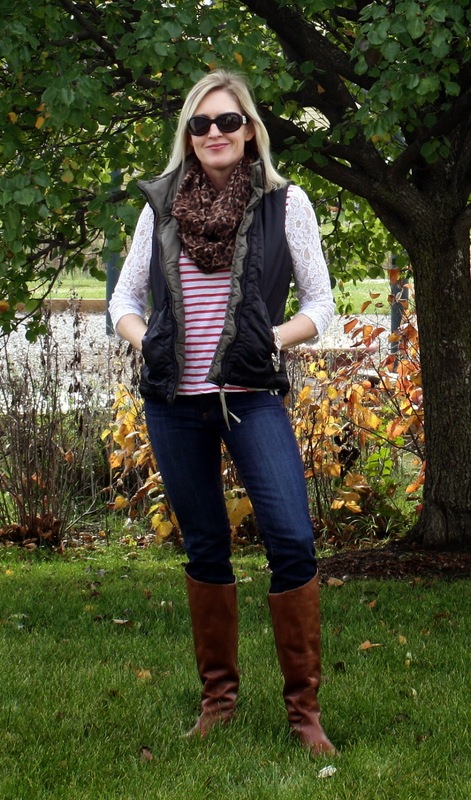 Day 11: puffer vest, striped tee, dark wash jeans, leopard scarf, riding boots. Day 12: neutral sweater, solid tee, leggings, leopard flats. I swapped the leopard flats for a leopard scarf and wore booties. 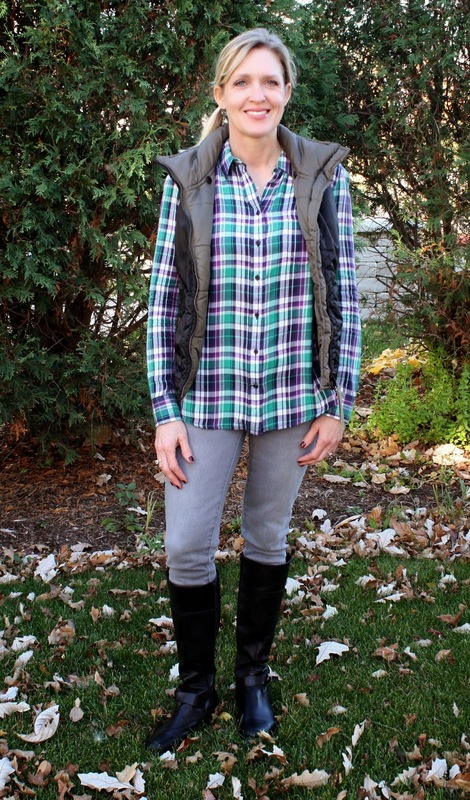 Day 13: puffer vest, plaid shirt, gray jeans, riding boots. 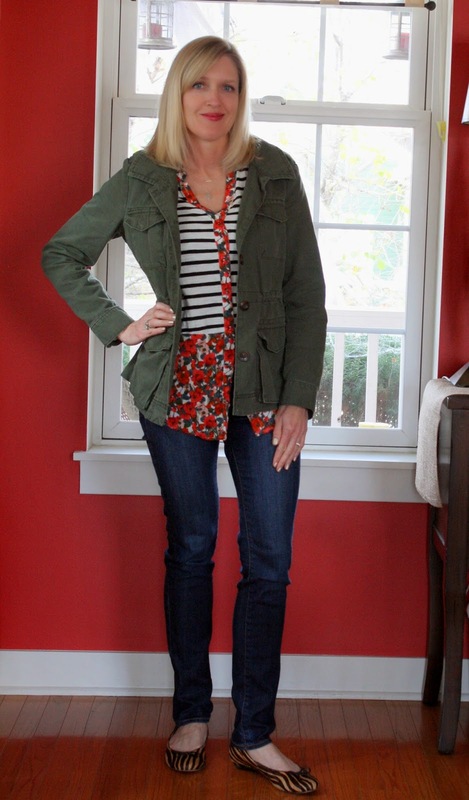 Day 14: striped tee, dark wash jeans, leopard flats, military jacket. I swapped out the tee for a striped blouse. Day 15: dressy sweatshirt, gray jeans, ankle boots. What's your favorite outfit this week? 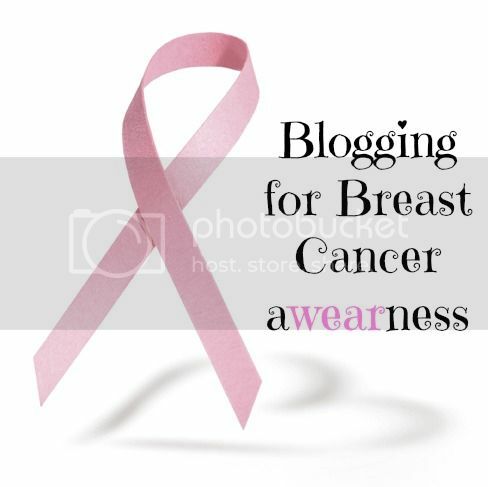 Linking up with these fabulous bloggers here and Elegance & Mommyhood. I can't pick a favorite I love all of them. I pinned and love every single one. So many great outfits with awesome Fall elements like booties, plaid, scarves, leopard, stripes and oxford shoes. The first two and the last outfit are my favorite though. Link up that gorgeous pink sweatshirt, with me. Thanks. I'm a sucker for leopard print and riding boots, love the puffer vest too! They all look beautiful! Have a great day! My favorite is the first look! Love the pattern mixing and the oxfords! There's no way I can pick a favorite! I really like the first three though! Those leather leggings are fabulous on you! I love all of these looks! Thanks for the fall style inspiration. Pretty outfit, I love mostly the first one!! My favorite (which, it is really impossible to pick a favorite) is the one with the puffer vest and you have a striped shirt on with lace sleeves. So pretty! I love all of these so much I can't even pick a favorite! You have fall style down my friend! I'm really into the first look - mainly because I love a combo of stripes and plaid. The brogues are just the icing on this outfit! I do have to say, that all of the looks are great and something all woman can put together! Great job! Love all your looks, especially the pattern mixing in your first two outfits! I really love your posts from this challenge. The grey denim outfit is my favorite this week! Your outfits are great. I love the pops of color that you added. The first outfit is my favorite. I think the sweater looks great with your scarf and tee. Love love love!!! I think the last outfit is by far my favorite! not sure I can actually pick a fav.... I think I said that last week too! Lol Love the leopard and stripes look! And again, those boots are awesome! My favorite is the plaid shirt and grey jeans! You rocked all of the outfits! I wanted to be able to pick a favourite but I love ALL of these looks! Thanks for linking up! Your oxfords are so stinkin cute! Great looks girl...always chic as ever! All great outfits - my favorite is the 2nd one with the fun layers (which I am totally jealous of since it's still way to hot to layer here). All looks are so good, but I love #13! All of them look so cute, and perfect for casual fall day, I especially like #12. You look fab! I love how you style Alison's looks. Love your puffer vest! So many cozy outfit. Thanks so much for join in on BBCA. Love your outfits! Great inspiration, I love the pattern mixing! I would like to have that animal print scarf in my closet! I like how you paired your striped top with that plaid scarf! 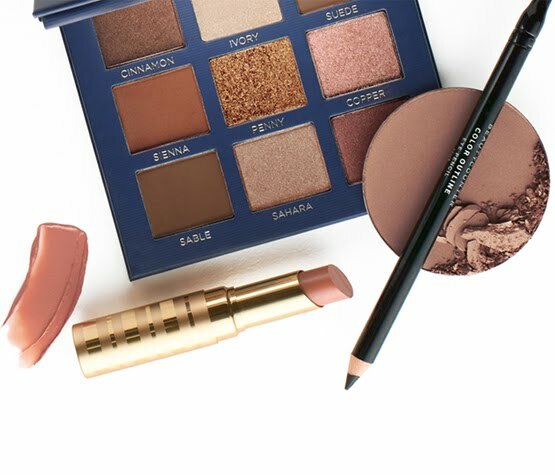 These are some awesome fall looks! I am seriously loving your oxfords in the first look - Amazing! My favourite look has to be either the plaid shirt look or the first shot with the gorgeous pink scarf! You are rocking your outfits, Jill! Are you in for the next challenge? 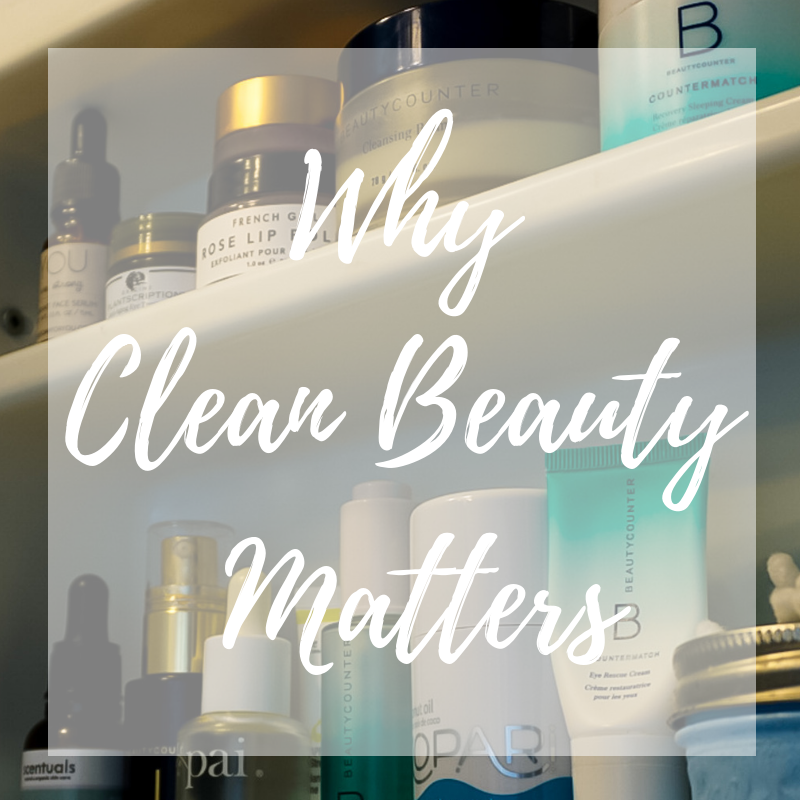 Thanks for linking up again this week! Great mix of patterns! Lots of perfect every day casual looks for fall. I'm loving that striped shirt! Lovely!